Diabetics to normalize metabolic processes and preservation of health, you should consume those foods which include the vitamins b, C, PP. It is worth noting that those along with a significant amount of various trace elements are contained in white beans. That is why it is an indispensable diabetic product. Leaf beans, Cup, coffee grinder, oat straw, blueberry leaves, flax seeds. To use leaf beans for diabetes is better in the form of decoction. There are many recipes, how to cook it. The first of these is as follows: take 15 g of crushed wings, cover them in a saucepan, pour a glass of boiling water and boil for 15 minutes. Then strain and drink 2 tablespoons per day. In a decoction of bean leaflets in any case, you cannot add sugar. Before use, the broth wing beans certainly shake. Prepare a decoction of wing beans and leaves of bilberry. To do it as follows: mix dried akrasanee leaf beans and crushed blueberry leaves, pour a tablespoon of the mixture in an enamel bowl, pour 1.5 glass of boiling water, boil for 20 minutes on the fire. Then strain and take three times a day half a Cup. Alternatively, leaf beans in diabetes not boil, and brew. You need to take 3-4 tbsp. l. minced raw, put them in a thermos, pour half a liter of boiling water and leave overnight. In the morning drain and put in a cool place. Drink 1/2 Cup before every meal. In a day, you must drink all the broth is cooked in the evening, and then cook fresh. Try to prepare a decoction for relieving edema associated with diabetes. Cooking broth as you should typically start with grinding the bean leaves. For this recipe you will need 4 dessert spoons of raw materials. Take them out, pour 100 ml of cold water and leave for 8 hours for maceration. Then strain through cheesecloth, folded in 4 times. It is recommended to take a glass before meal. Next, a decoction of bean leaflets advised in diabetes type 2 diabetes. To make it you need 1 dessert spoon of minced raw pour 0,25 l of boiling water, put in a water bath and boil for 20 minutes. Then cool a little, strain, pour into a separate jar. Use 3 times a day for 3 dessert spoons. In addition to bean leaflets in the treatment of diabetes will also benefit from its fruits. They normalize blood sugar and have a cleansing effect. 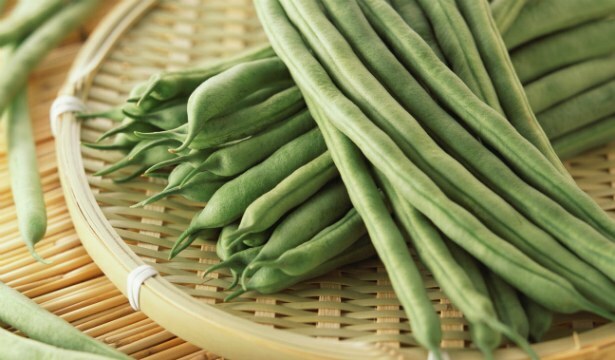 Leaf beans for diabetes can not be used for the elderly and those who suffer from colitis, cholecystitis, gout, ulcers, gastritis, acidity. In any case, before applying them it is better to consult a doctor. In any case, do not use green pods. They contain toxic substances.